Have you ever de-boned a fish? Yeah, I hadn't either. Turns out it's not something to do "on the fly" or on an occasion where you are feeding strangers for a dinner party. I turned to this preparation because I found it photographically interesting and I heard it is THE WAY to cook fish for ultimate moisture. Not to mention, this recipe is unbelievably simple. The salt does all the work for you. The de-boning I mentioned is actually not that difficult, but maybe requires more patience than I had that night and watching some Youtube videos. For the next round I got it down and the fish was even better the second time. Take it from me and get some help from the professionals at the fish counter because bones or not, this recipe is a sure crowd-pleaser. 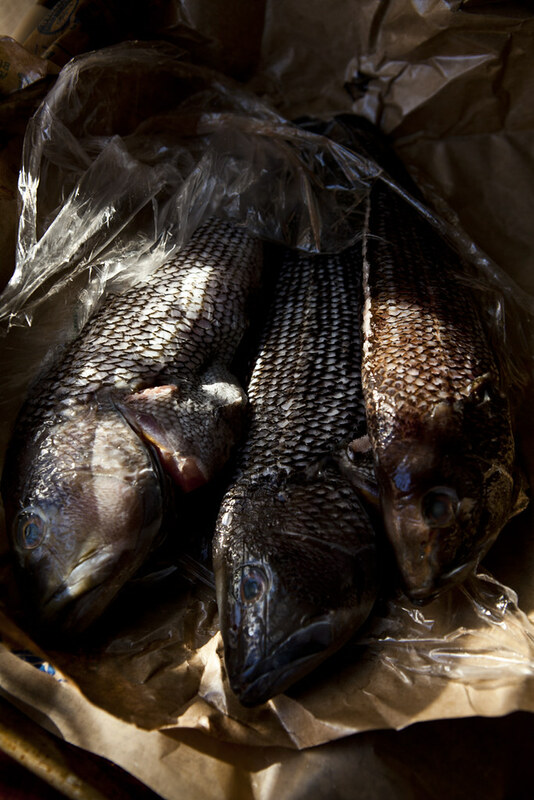 1 black sea bass, 2 lbs. 1. Whisk eggs into stiff peaks before folding in the salt. Set aside. 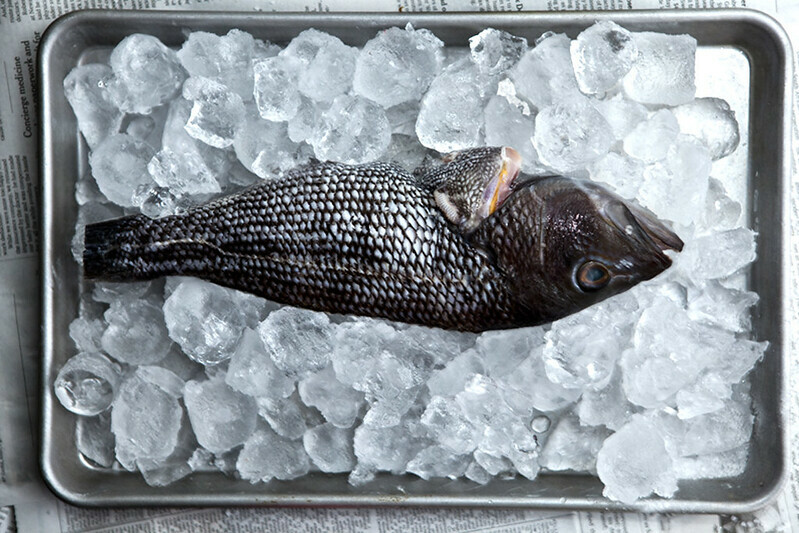 Add clean, scaled & de-boned fish to baking sheet. 2. Stuff thyme, rosemary, leek, lemon and garlic into fish cavity. 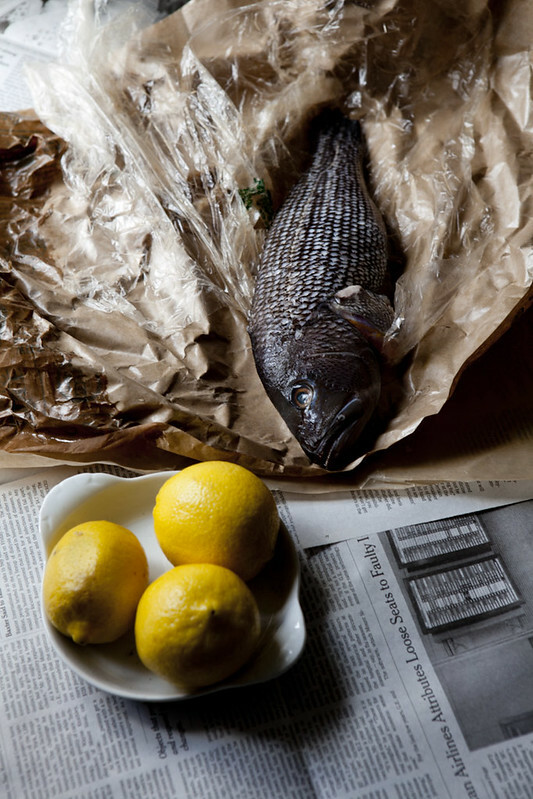 Reserve some slices of lemon for to top fish. 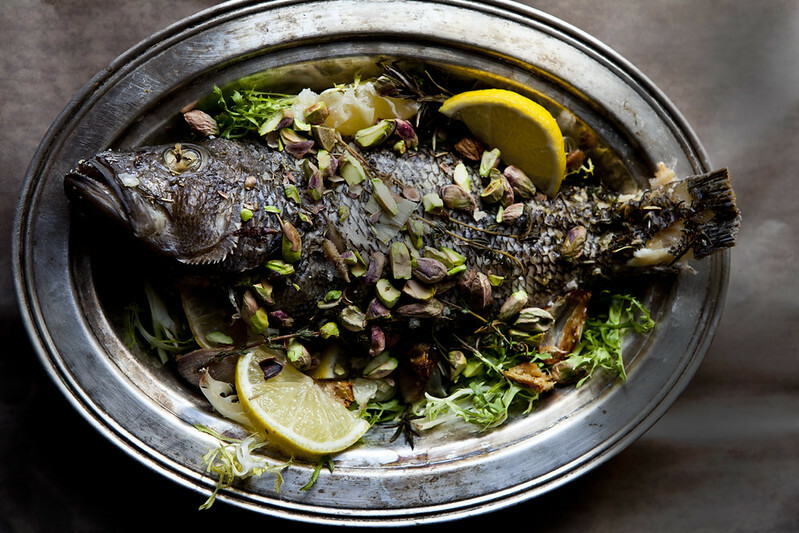 Rub fish with olive oil, fennel seeds and more thyme. 3. Pack salt mixture and cover fish completely. Bake for 25-30 minutes at 450 degrees. 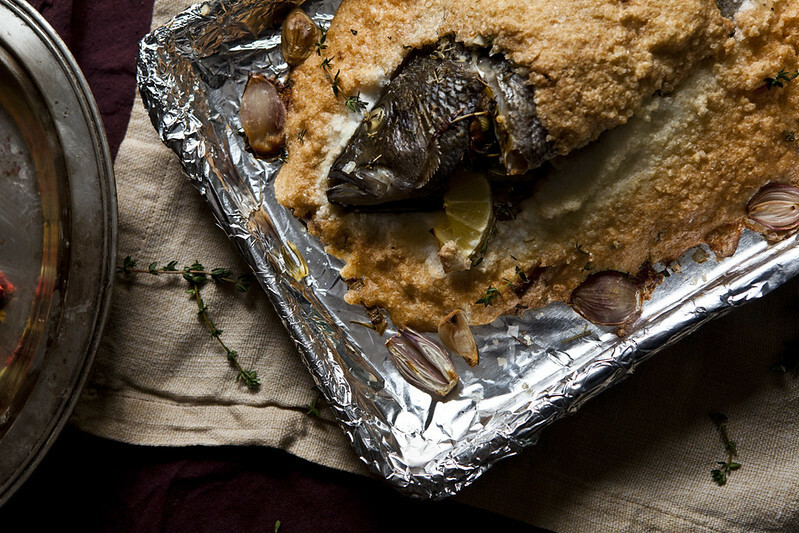 Let fish sit for 5-10 minutes before breaking and removing crust. 4. While fish cooks, toast pistachios on low heat in a skillet until browned and nutty. Chop pistachios and set aside. 5. 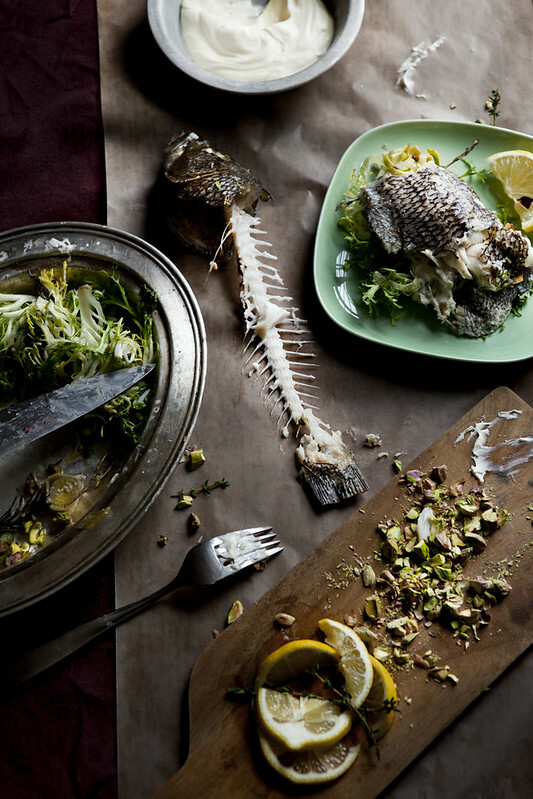 Serve fish with frisee, dollop of creme fraiche and crushed pistachios. Squeeze remaining lemon juice atop and sprinkle sea salt.